Deal: 50% OFF the first month on all new subscriptions + gift subscriptions! 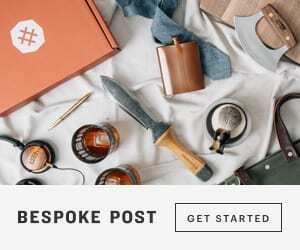 Deal: Spend $45+ at BespokePost.com and get the Black Box (a mystery box worth $50+ of product) with your order. Coupon Code: No Coupon Code needed. Deal: Get your first bag for only $5 on a month-month subscription! Deal: Get 20% OFF all boxes! Deal: Get 50% OFF your first box! Deal: Get 40% OFF your entire purchase! Deal: Get 50% off your 1st Quad Size Box (any plan)! Deal: Get 30% off 1, 3, 6, & 12 month Subscription Plans! Deal: 35% OFF on all purchases! Deal: Get $30 off your first Style Plan box + waived $25 styling fee! Coupon Code: Coupon will be applied at checkout. Deal: Get 50% OFF your first month of Creation Crate! Deal: Pick Your Discount – 10% Off Monthly, 15% Off 3 & 6 Month Prepay, Free Men’s Limited Edition w/Purchase of 12 Month Prepay! Deal: Buy one month, get one FREE! Deal: Get 40% off your first/next box for monthly subscription plans – 40% off your first/next box for 6-month prepaid subscription plans PLUS get a free box – 40% off your first/next box for 12-month prepaid subscription plans PLUS get 2 free boxes – 40% off your entire store purchase! Deal: Subscribe to Sock Box & Get November Box for Free! Deal: Get $10 off a Monthly Subscription, $20 off a 6 Month Subscription or $40 off a 12 Month Subscription! Deal: Get 25% OFF all gift subscriptions! Deal: Get 20% Off ALL Plans + FREE Box with 6 or 12 month plan! Deal: Get 20% off 1, 3 and 6 months subscriptions! Deal: Now thru 11.26.18, KiwiCo is offering new customers 60% off their first month! Deal: Get 15% OFF any subscription! Deal: Get a FREE box with new subscriptions! Deal: Black Friday Mystery Bundle – choose as many tops, leggings, and bras to add to your bag, $20 leggings, $15 sports bras & $10 tops! Coupon Code: No code needed, just use our link! Deal: Get 50% OFF your first 2 months! Deal: Get $10 OFF your first month of a 6 or 12-month plan! Deal: Get your 1st box AND a FREE Kate Somerville ExfoliKate ($75 value) for just $39.99! Deal: Get 70% OFF your first order! Deal: Get $10 OFF, a FREE full-size cozy throw blanket and FREE shipping with any Oh! Ho Ho! Holiday Box order! Deal: Get $25 off your first box plus get a free Beauty Bundle! The Beauty bundle includes: Smith + Cult palette, Osea hydrating oil and Oribe lipstick! Deal: Get 25% OFF 3, 6 or 12 month subscriptions! Deal: Get 20% OFF all orders of $65 or more! Deal: Get $25 OFF your first box! Deal: Get 20% OFF 2, 4 or 6-pack snack boxes! Deal: Get 10% off sitewide – save 10% of all single purchase gift boxes & subscriptions! Deal: Get 70% OFF new subscriptions or 40% OFF a single box! Deal: Get a FREE box with any purchase! 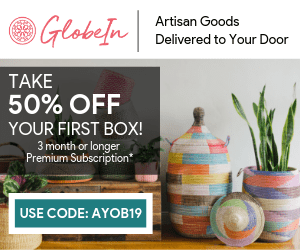 Deal: Get $10 OFF your first box! Deal: Get $5 OFF your first box! Deal: Get 20% OFF subscriptions! Deal: Get $35 OFF your first box! Deal: Get $10 OFF + A FREE BOX when you buy or gift any box. Deal: Get 10% off PLUS a year’s worth of FREE SHIPPING! Deal: Get 3 spices for only $9! Deal: Get 25% off 3-month or 6-month subscriptions! Deal: Purchase any 3 Month or longer Premium Artisan Box Subscription and receive a Mystery Box ($60-$80 retail value) for FREE! Deal: Get 25% OFF your first box! Deal: Get a Black Friday Gift Bundle for 40% OFF! Coupon Code: No code needed, just use our link. Deal: Get $5 OFF your first Premium Box! Deal: Get 3 products worth $70+ (includes a guaranteed S’well Bottle) with your first order! Deal: Get $10 OFF a single parcel or $35 OFF a year of parcels! Deal: Get 30% OFF all subscriptions! Deal: Get $25 OFF a 6-month subscription! Deal: Get $30 OFF your first box!